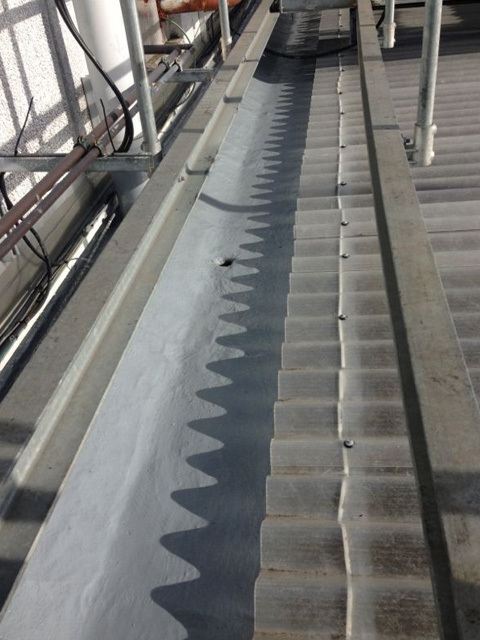 We have completed many roofing projects on industrial premises and are experienced in dealing with the challenges that this type of work entails. 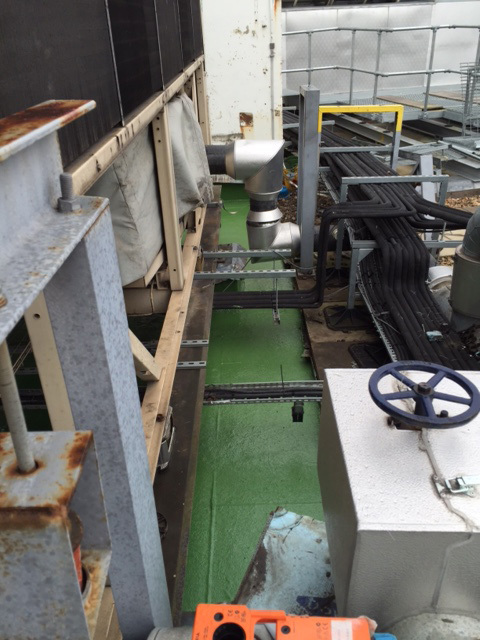 For example, industrial premises frequently have copious air-conditioning equipment mounted above the roof surface. 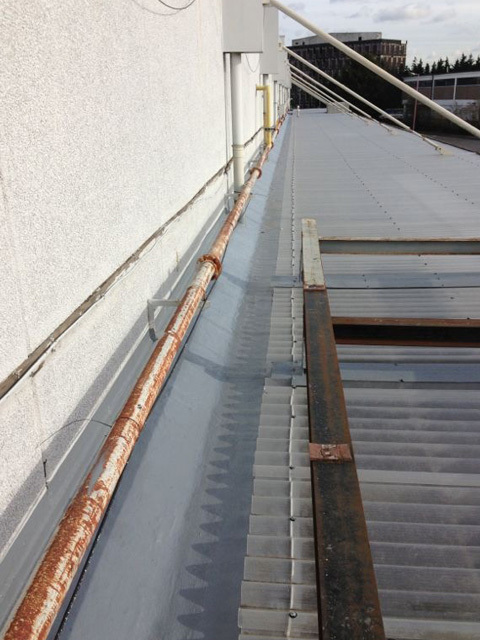 The following view is a typical situation, with the left-hand picture showing the roof after the base layer has been applied, and the second picture showing the top layer. 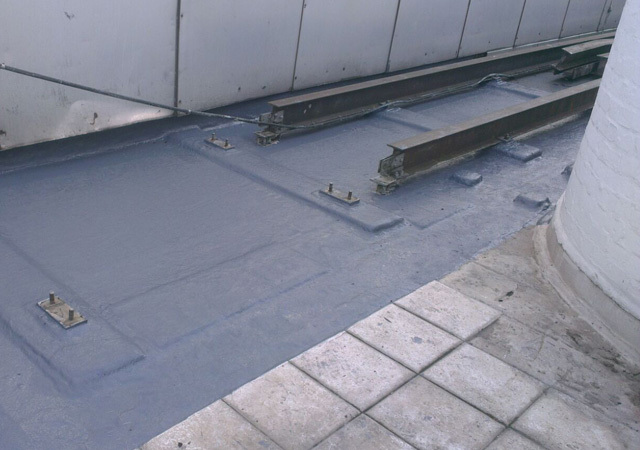 In the following picture we see how the weight of such equipment is supported so as not to place undue stress on the roof covering. 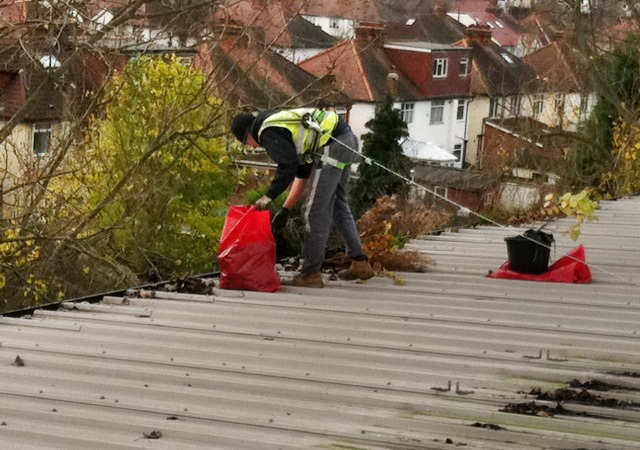 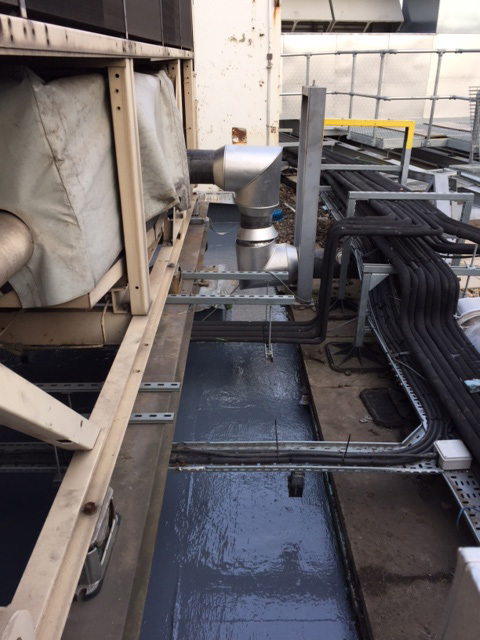 Of course maintenance and cleaning is equally important and her we can see one of our operatives clearing debris from a flat roof, securely tethered using the appropriate harness and line. 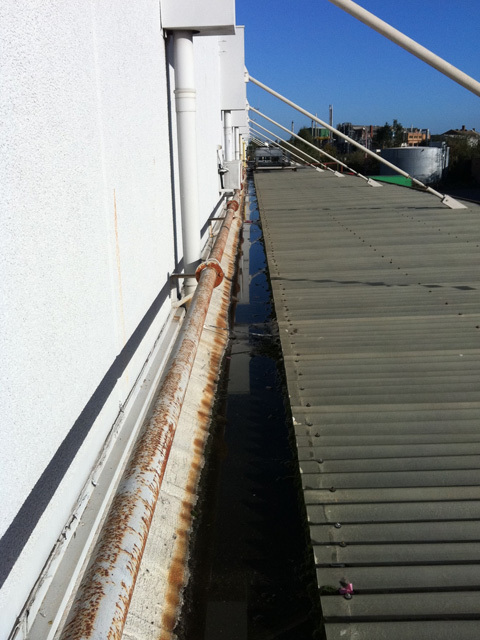 These three prictures show an unimproved premises, and the same premises with new Liquid Plastic Box guttering and new loading bay profiled sheeting.